Finally here she is… photo courtesy of dreamstime.com. Hi Madame X here. Babette asked to write and explain to you all, the meaning of our association & project. This photo, a lady incognito, representing my position in this project. A little background info. A singer for life, some say I’m famous, all inferior to what’s happening to the lions, but now I’m retired I have time for other passions in life. 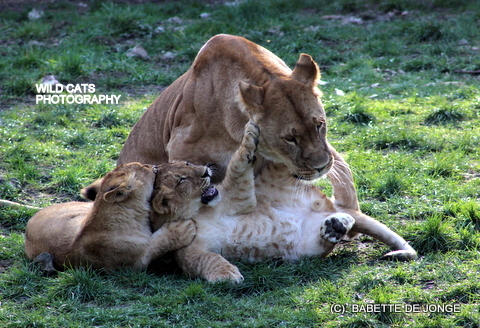 Photography of African and Asian wildlife one of them, how the mutual liking of myself and Babette got renewed. I got to know her back in the 80s as genuine and sweet girl, true to what and who she believed in, treating me as celeb always with utmost respect. B. wrote me asking to be the human ambassador for her amazing project & foundation Wild Cats World. We had long talks, time passed, meanwhile I observed from a distance how her foundation functioned and had myself informed about many other orgs, conservationists, projects and sanctuaries, visited countries, had long talks. I managed to purchase meaningful land in European countries, in the South and some up North where I originally belong. Land not for myself but to help to make this dream and huge project come true. Years back Babette and myself got in touch again, I explained not becoming ambassador for WCW, but expressed my deep wish to be part of something big to give a better life to animals and esp lions, cheetahs. WCW was my first choice, this organisation, well no words to waste, is there for cats for animals and for them only. The respect and discretion to me and my choice to stay ‘in cognito” & Babette’s understanding this is why I won’t be able to be ambassador for her foundation, was the start to talk further. We talk about years of preparation, now Babette has my permission to give up-dates as this is an essential project, a personal fight against the Canned Hunting business. Yours faithfully, Madame X, Canned Hunting -X- Project. Also see the -X- Project main page. There are good reasons for the lioness on the enclosed picture to have a good ‘laugh’ as we just got confirmation that 2 more lions (males, brothers) have been freed from Canned Hunting. 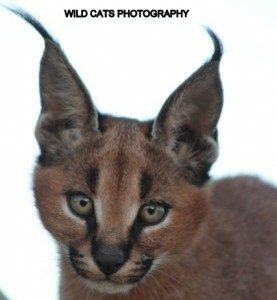 They will have a happy life at the huge property of Madame X (in cooperation with Wild Cats World). There they will join the 5 other fortunate lions (2 males, 3 females) so it is quite an achievement. 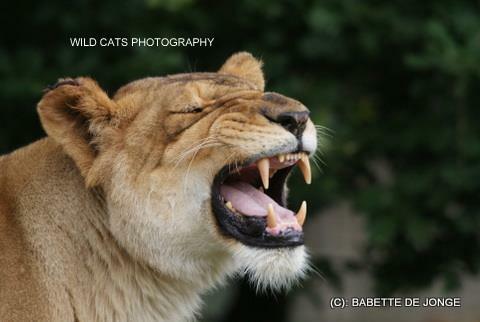 In short, Madame X is a celeb – who doesn’t want her name to be mentioned, which we of course respect – who asked Wild Cats World (Babette de Jonge) to help her fulfill her dream. She wants to give a wonderful life to a bunch of lions (intended for Canned Hunting) and in the future hopefully cheetahs (if the WCW cheetahs have some offspring). With her 100 ha of land in Europe (with an African climate) she can already give them lots of space. She wants to acquire even more land with some mountainous terrain. We will keep you informed, even though we cannot share all the details, which is for the better as in conservation there are always negative forces at work with their own agenda’s. 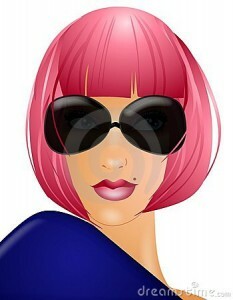 Shortly Madame X will write an article to explain her motivation and why she asked WCW for support and expertise. She will also reveal what her project aims to do against Canned Hunting and for the cats rescued. Note that the cats involved were “rescued” and not bought for a ransom that would supporting the ugly business of Canned Hunting! The latter is also one of the reasons why she doesn’t want her identity to be revealed. As she (and we) say: “it is all about the cats and not about our egos! “ We wish more projects thought like this! From our partner in Indonesia in the Javan Leopard release program (wanicare foundation): Up-date leopards Sawal and Dimas. “Still no positive news to tell about the release of Sawal and Dimas. We are still waiting for news and… results from the camera traps the rangers of Ciremai National Park promised us to locate in the mid area of the national Park. We hope we can release at least 1 of the leopards there, but first we need to be sure this area is suitable for another leopard. The whole release program takes too long and it is very frustrating. 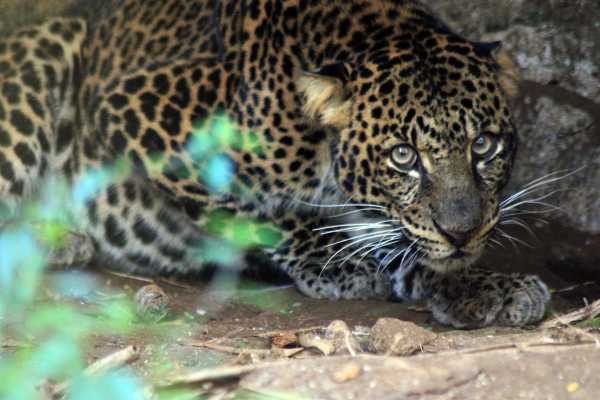 Next to the fact that there seem not to be any suitable areas left in Java to release leopards, we are also depending on others like National Parks, Forestry Dept. and investigators which doesn’t seem to be in a hurry. This makes it very complicated for us. Besides that the situation of the Javan leopard in general is still very sad and it only becomes worse. Human conflicts are still continuing and the fact that there are so many human-leopard conflicts in Java the last years, is a sign that there’s not much space left, not much of the natural habitat so this makes it even more difficult to actually release “our” leopards but we will do our utmost to make this happen. Although the situation for Dimas and Sawal is not ideal, they are both still fine. Last week they got their yearly vaccination and they are in good health, still very wild and shy towards humans. What makes it even harder for a relocation of leopards, as it seemed to be the case in India, the leopards get stressed and more aggressive, esp. to humans, because of a relocation to new and unknown habitat. 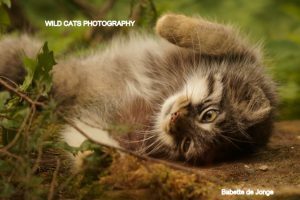 Not easy to release wild cats back into their natural habitat, but for both Wanicare and Wild Cats World this is the ultimate mission! 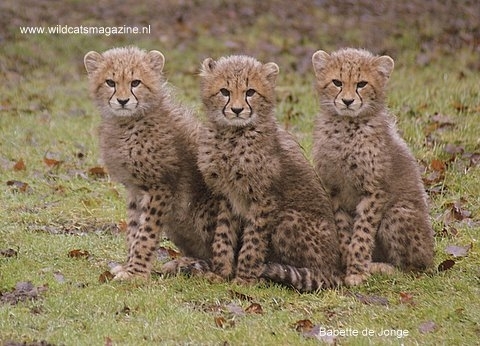 Soon a young new male cheetah will arrive at Wild Cats World. He will be named Sunny. Although the situation where Dimas and Sawal are living in right now isn’t ideal, they are both fine. They are active, hunting and eating well. The caretaker at the sanctuary is giving them live prey once a week. On other days they get their food in different ways to give them enrichment: meat hanging on a rope, or hidden in a carton box that is hanging in their enclosure. Unfortunately we still haven’t found a suitable release site for them. It really is a difficult situation as there are not so many suitable areas left and the better areas are already occupied by other leopards. Besides, there’s so many human-leopard conflict. At this moment we are still focusing on the Ciremai National Park. One male leopard has been spotted there, but more research needs to be done in the middle of this National park. Although we are very happy with the help and cooperation with the National Park, the research isn’t going as fast as we hoped for. We are depending on their officers and they are also the ones who place the camera-traps to see if there are more leopards around. If it appears so there’s just one male around in this area, the question still would be if it is wise to release our two males there as well, as they no doubt will start searching for females and if they are not around in this National park they will probably start looking outside. If they leave the area we can start all over again as there will be conflicts with humans again. There’s just too little space for wildlife and leopards left on Java and not much better elsewhere in the world. An other option is Cikapu area. The Forest Department talked to us about this area as it seems there are no leopards around here but they are interested to get some there. But before this can happen lots of work needs to be done, to have this area better managed as a lot of people are entering this area. Also the usual habitat assessment needs to be done first, so before we actually know for sure it is suitable, many months will pass… and still many more funds are needed. Just for you to know, we continue to work hard on this and hopefully next time there will be better news about the release of our two leopard friends Sawal and Dimas. Keep them in your prayers and if you have anything to spend, please fund and support the leopards with the help they so desperately need. 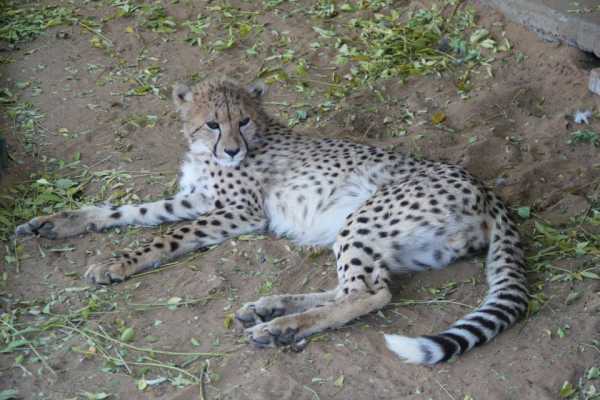 Increases in the number of top predators like lions do not always affect the number of cheetahs in the area. A recent study looked at the effects of lion populations on other hunters. The number of cheetahs was not affected by the increase in the lion population but wild dogs suffered to the point of local extinction. The study used historical data accumulated in the Serengeti over a period of 30 years and study of individual animals via radio-collars. During the closing decades of the previous century the number of lions tripled. During the same period the wild dogs left the area or were killed outright while the cheetah population remained stable. When comparing the findings with data from fenced areas in southern Africa showed the same pattern. Cheetahs can live with lions but wild dogs can’t. What could be a factor is that lions do not exclusively hunt the same prey as cheetahs and therefore will not always compete at the dinner table. Wild dogs have a wider range of prey animals and can therefore be a greater threat to lions. Of course the study only addresses certain aspects of inter-species dynamics and does not mention that all three species suffer most from the ultimate apex-predator, humans and their relentless expansion. But currently there’s a meeting with Ciremai National Park to talk things through about the release and to put camera traps in the center of this Park to continue with the assessment in that area. It is a difficult project as there’s little info and experience in the release of Javan leopards and no knowledge of suitable areas to do a release as such in which the leopards will be safe. The leopards are fine under the circumstances but the situation is far from ideal of course and we all cannot wait to give back their freedom. Help is offered now from a person experienced in surveys, camera trapping etc. so let’s hope this will speed up the assessment in the Ciremai National Park. Our fund raising #3 is still on for 5 more days on Indiegogo, for everyone who still wants to support this release project and everything to do with it, a very valuable and time consuming operation. In the meantime we keep you updated whenever there’s news!! But currently there’s a meeting with Ciremai National Park to talk things through about the release and to put camera traps in the centre of this Park to continue with the assessment in that area. 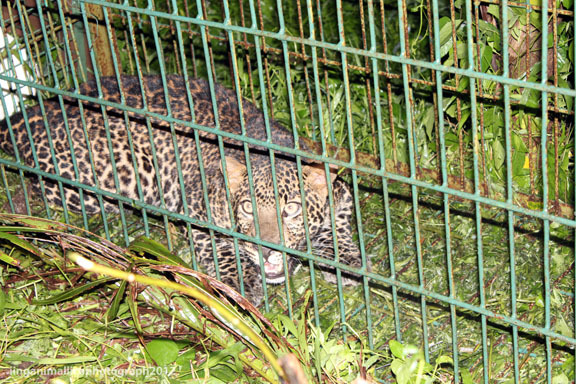 It is a difficult project as there’s little info and experience in the release of Javan leopards and no knowledge of suitable area to do a release as such in which the leopards will be safe. The leopards are fine under the circumstances but the situation is far from ideal of course and we all cannot wait to give back their freedom. Help is offered now from a person experienced in surveys, camera trapping etc. so let’s hope this will speed up the assessment in the Ciremai National Park. Our fundraising #3 is still on for 5 more days, for everyone who still wants to support this release project and everything to do with it, a very valuable and time consuming operation. In the meantime we keep you up-dated whenever there’s news! !